Chinese ring-necked pheasant; photo by Richard Bicknell/RangerRich1961 on Flickr (noncommercial use permitted with attribution / share alike). Male ring-necked pheasants are strikingly beautiful with iridescent copper-and-gold plumage, a red face, and bright white collar on its neck. Female coloring is muted and blends in with the field habitat (basically brown with with black spotting on the sides and thin, black bars on their tails). 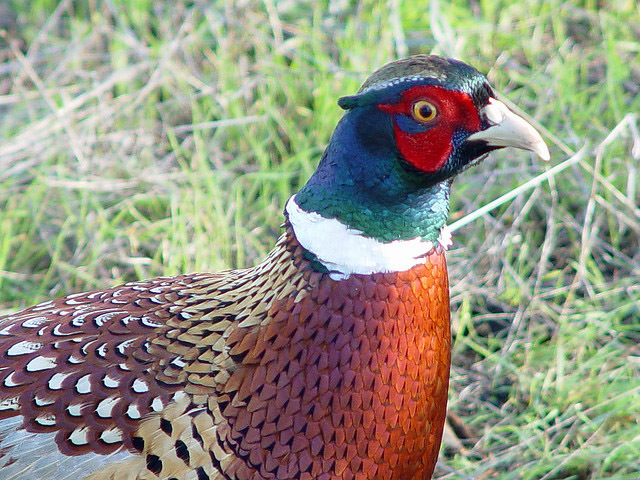 Ring-necked pheasants prefer to walk or run, flying only when disturbed or pursued by a predator. These birds were introduced to the United States from Asia in the 1880's. They forage on the ground for waste grain, other seeds, and insects. 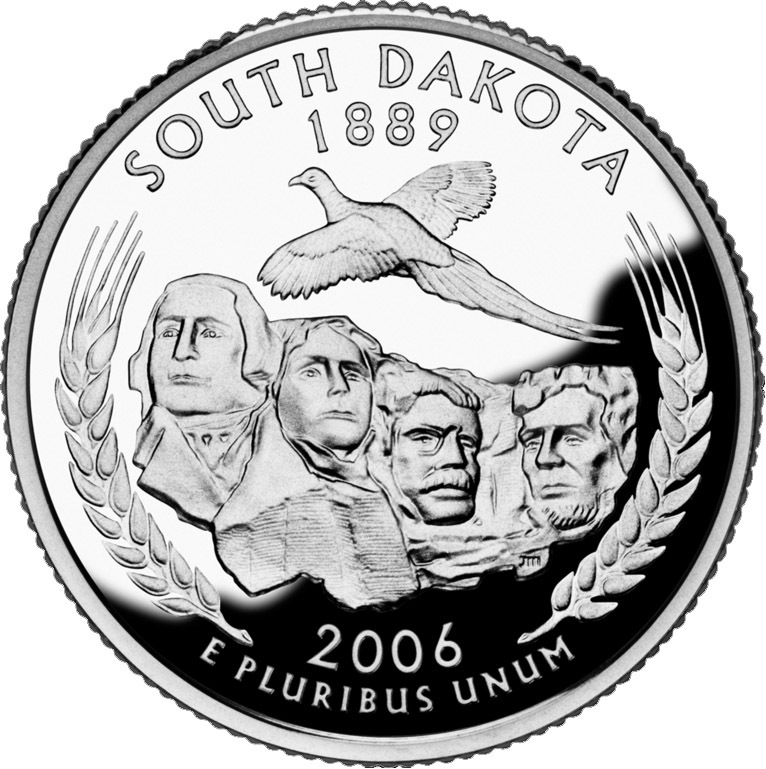 The U.S. Mint's bicentennial commemorative quarter for South Dakota features a ring-necked pheasant (state bird) and Mount Rushmore (the state nickname is "Mount Rushmore State"). South Dakota became the 40th state in 1889. Public domain image on Wikipedia. 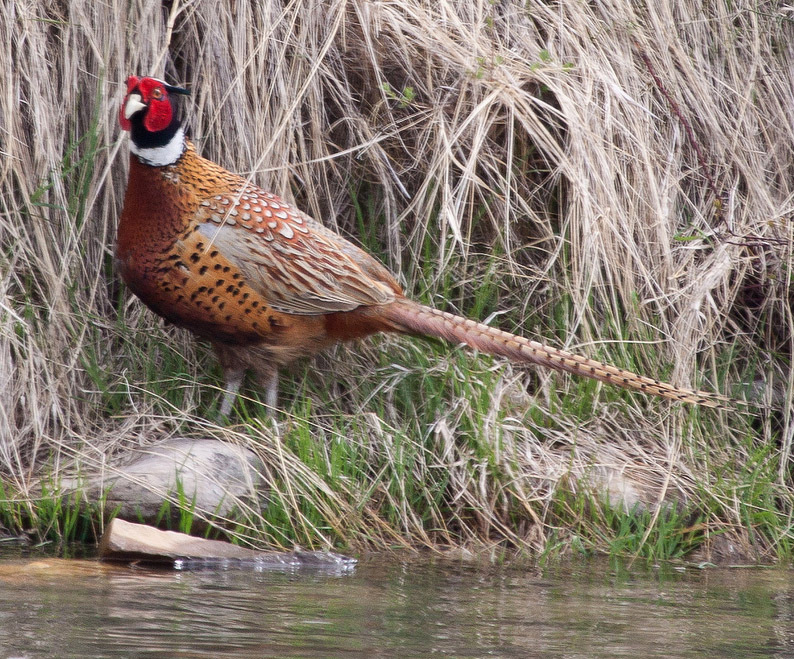 Chinese ring-necked pheasant; photo by David A. Mitchell on Flickr (use permitted with attribution).